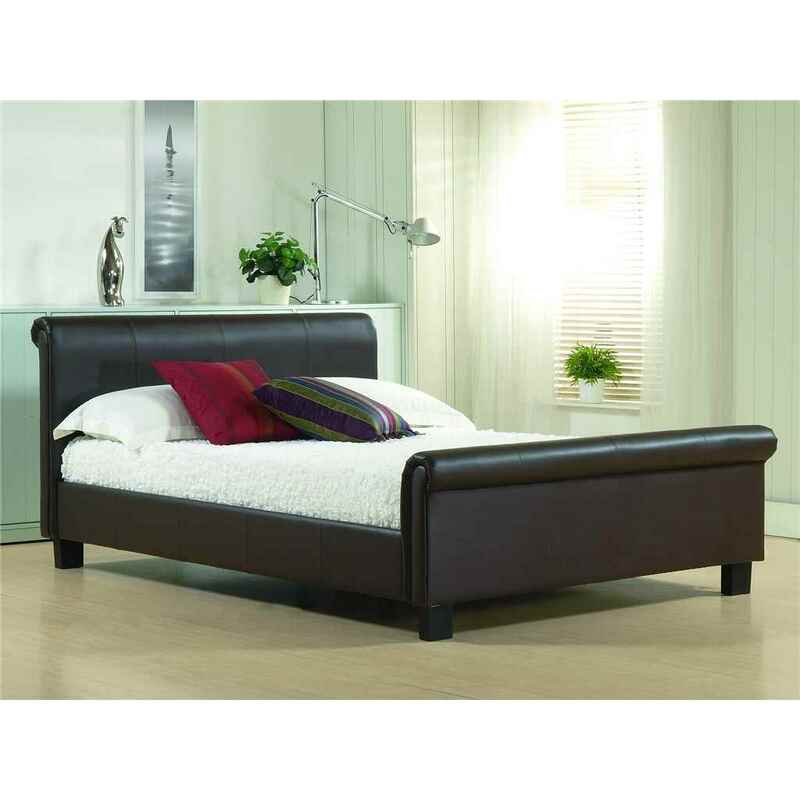 Brown Real Leather Sleigh Style Bed Frame - Double 4ft 6"
This brown real leather bed frame provides stylish modern design and added luxury to any contemporary bedroom setting. The low sleigh style design finished with real leather has a sprung slatted base for extra comfort and to help maintain mattress condition. The Real Leather Bed frame is also available in Black and in King size.